Parents are anxious questioners about the age when their babies may be expected to talk clearly and to comprehend simple words. This curiosity is very natural, for the first words spoken with understanding form a landmark in the life of the child and its mother, especially when it is realized that the age when a child begins to talk is a rough indication of its intelligence. Is my baby normal? … When will he start walking? … How long before his teeth start showing? A baby should be able to say and understand a few words when it is 12 months old. 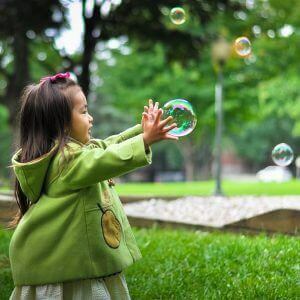 Particularly forward children sometimes start as early as nine months, or even before then, though reliable evidence of this precocity is not available. At the age of three years, they should be able to talk fairly well. In order to understand some of the disorders which may prevent a child from learning, to talk at the proper time, it would be as well, first of all, to explain the working of the function of speech. There is in the body and governing every action of the body, a complex system of nerves, all of which have either their beginning or their ending in the brain. Those going to the brain come from the various sense organs, such as the eye bringing in the sensation of sight; the ear, the nose, the tongue, the fingers, and the whole surface of the body. Those going away from the brain convey messages to the muscles and glands to make them work. The whole arrangement is like a vast telephone system, the brain being the exchange. Speech, as well as any other intelligent movement, depends on the correct functioning of this system. If an otherwise healthy child does not talk at the times stated above, it probably is deficient in some way. It may be deaf, in which case it cannot learn to say words because it cannot hear them spoken. The ear simply does not send its message to the operator at the exchange. In a rare condition known as word deafness, the baby is not deaf to ordinary sounds, but cannot turn the sounds of spoken words to any meaning. A child who has had a severe illness is put back in everything — growing, teething, walking, and talking. The commonest cause, however, is a mental one. Here, as after a severe illness, the child is backward in all respects. Though he may progress at the same rate as ordinary children, he has started life with a handicap which he probably will never overcome. We might liken mental deficiency to a poorly designed telephone system worked by a very inexperienced operator. He will only get a few numbers right, and he will be pretty slow about them. Parents who are at all afraid that their children may be backwar, should take them to a doctor or a welfare center, or any other institution dedicated to the care of the child. Here’s our complete guide for new and expectant mothers.